I have always had an interest in plants and plant knowledge. During the summer of 2016 I began to make a series of botanical drawings to use as flash cards as a way to memorize and learn to identify the botanical specimens I encounter in my garden, on hikes, and when cooking. I decided to publish these drawings as flash cards or oracle cards for others who might be interested. The first series is called HEDGEWITCH and focuses on plants that you would find in the fields and hedges. 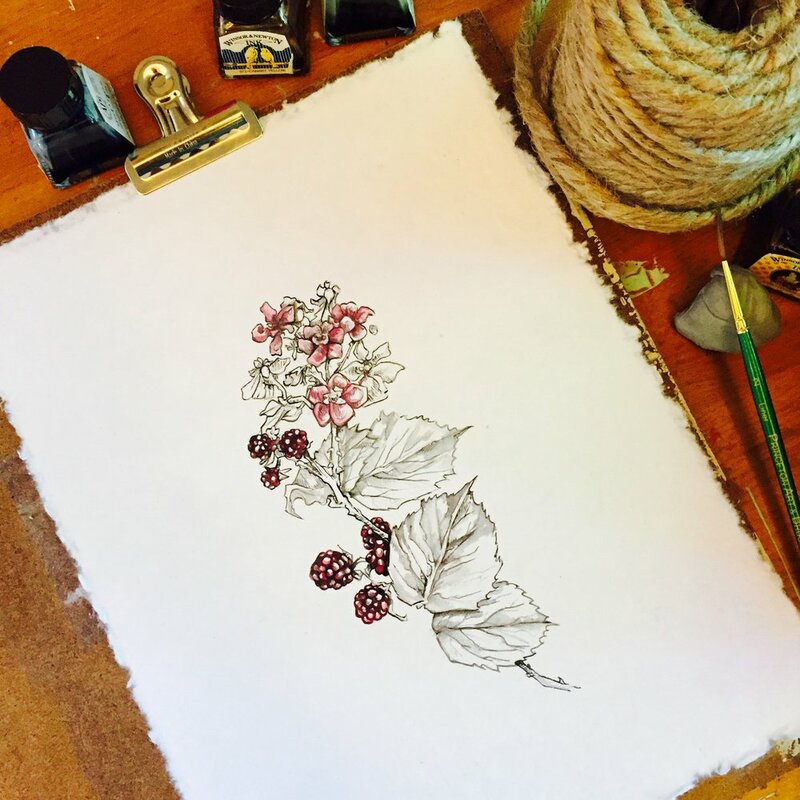 Hawthorn, Blackberry, Sage, Stinging Nettles - those lovely and mysterious plants that have been used for centuries in folk medicine and foraged for food.